Heat oven to 375°F. Line cookie sheet with cooking parchment paper. Separate dough into 4 rectangles on cookie sheet. Firmly press perforations to seal. 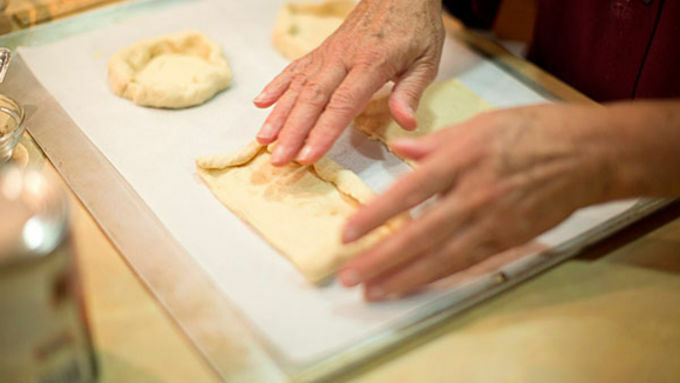 For each rectangle, roll edges toward center and form a 3 1/2-inch diameter round with a 1/2-inch rim. Press rim firmly to seal. 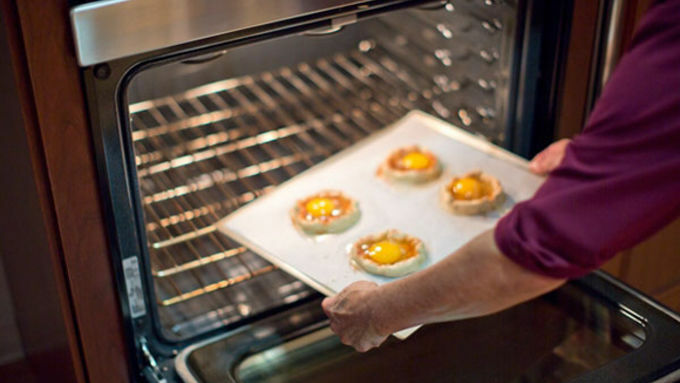 Bake 16 to 18 minutes or until egg whites and yolks are firm, not runny. 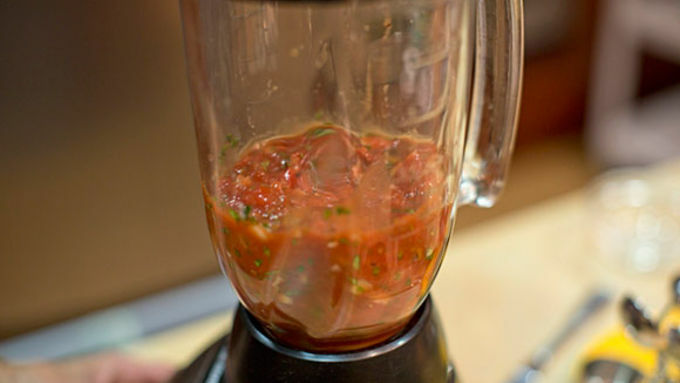 Meanwhile, in blender, place tomatoes, onion, garlic, 2 tablespoons of the cilantro and remaining 1/4 teaspoon chipotle chili powder. Cover; blend until smooth. 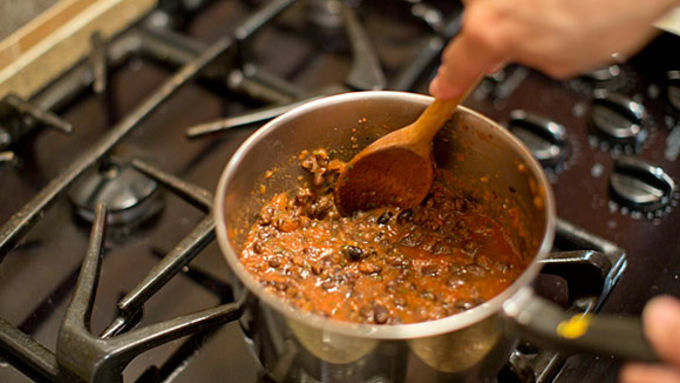 In 2-quart saucepan, heat tomato mixture over medium-high heat 4 to 5 minutes or until hot. Remove and reserve 3/4 cup mixture from saucepan; cover to keep warm. Add beans to remaining mixture in saucepan. Cook over medium-high heat 5 minutes, stirring frequently, mashing beans slightly with back of wooden spoon until slightly thickened. For each serving, place about 1/3 cup bean mixture on plate with egg tart. Serve with reserved sauce, cheese, avocado slices and remaining 2 tablespoons cilantro. Want your breakfast experience to go from mild to wild? Crack an egg on it. 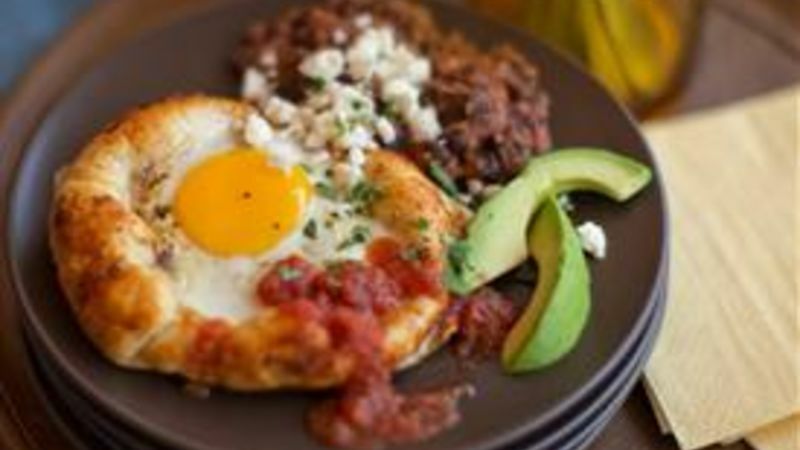 That’s the secret to this new take on the brunch favorite - huevos rancheros. 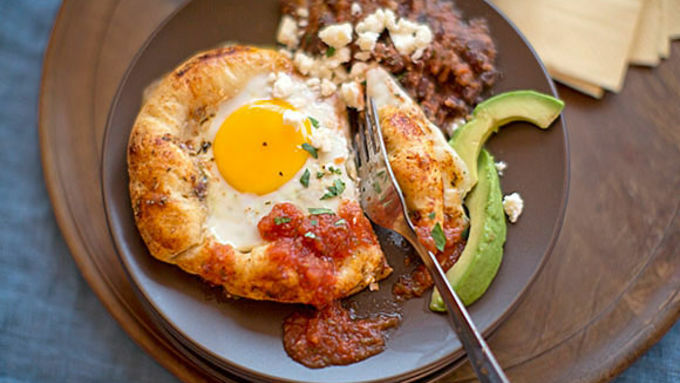 We paired a sunny egg tart with the flavors of huevos rancheros to up the awesome points. The best part is that they only take a few ingredients, making this brunch dish easy like Sunday morning. 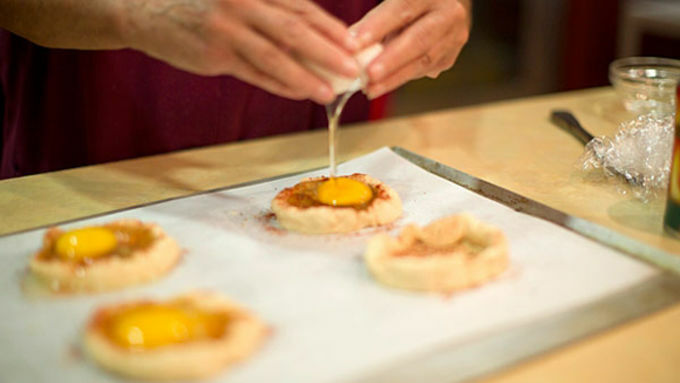 Serve each egg tart with some beans and sauce. Top with fresh cilantro and queso fresco cheese. Add a few slices of avocado and dig in.